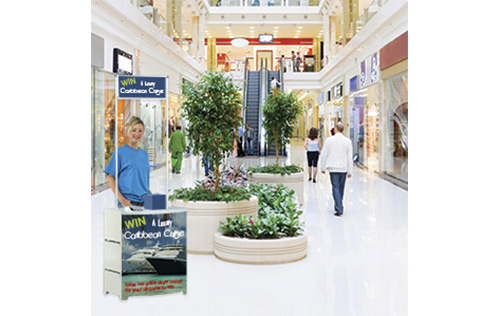 We offer wheeled or static promotion units suitable for use in supermarkets or shopping centres. The wipe clean top surface makes them ideal for food promotions. Both options are available with an internal shelf / shelves for additional storage, handy carry bag and optional header panel. Please phone 0800 999 KWIK and ask for further details to be emailed to you. FAST – We can supply Promotion Units in 2-3 days.